Want to stay home for a romantic Valentines dinner this year instead of spending the night in a crowded restaurant? If so, have I got a recipe for you! In today’s post, I’m sharing my favorite traditional Valentine’s Dinner recipe. After all, we have traditions for other holidays, why not Valentines? 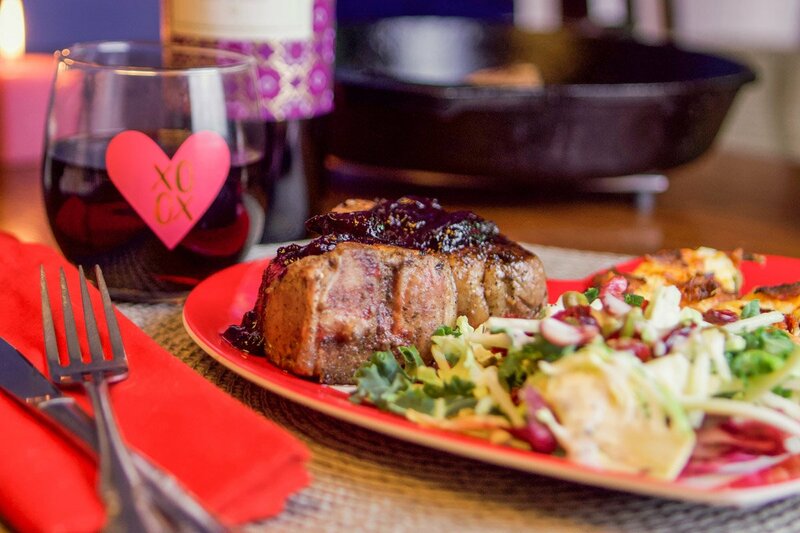 It was many years ago that I first prepared this lamb loin chops recipe for a romantic Valentine’s dinner. It was such a hit with Scott, that I decided to repeat it the following year. Just like that, a new Valentine’s tradition was created. Scott looks forward to this delectable lamb loin chops dish every year! 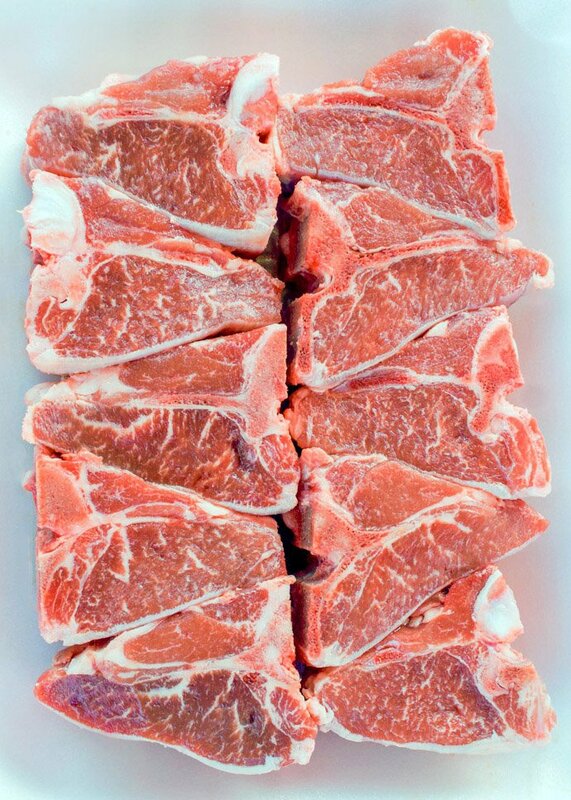 Why Choose Lamb Loin Chops For Valentine’s Dinner? You might be wondering why I choose this lamb loin chops recipe as my go-to Valentine’s Dinner year after year. Well, not only are the chops delicious, but they are shaped like hearts; I mean really, how perfect is that? This recipe also requires very little time to prepare. In fact, the lamb is cooked in a cast iron skillet, under ten minutes! Sure, it will make your partner think that you spent hours slaving away in the kitchen, but you and I will know better! I already mentioned that this lamb loin chops recipe can be ready in under ten minutes. However, you will have to marinate the lamb for eight hours, or overnight. The other thing to remember is setting some time aside to make the cherry sauce reduction. The sauce is the perfect compliment to this recipe and adds another layer of flavor. It is also visually appealing. So I recommend doing some prep work the day before (marinating the lamb, and making the sauce). That way, you can give your love your undivided attention on Valentine’s Day. These lamb loin chops are delicious on their own, but this great marinade takes them to a whole new level. This simple marinade compliments the lamb so beautifully, you’ll never need another lamb marinade recipe. 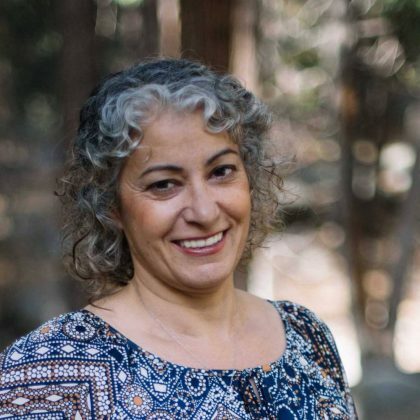 To make the marinade, mix the following ingredients in a measuring cup: 1/4 cup olive oil, 2 tablespoons freshly squeezed lemon juice, 2 crushed cloves of garlic, 3/4 teaspoon salt, 1/2 teaspoon black pepper, and 1/2 teaspoon dried mint leaves. 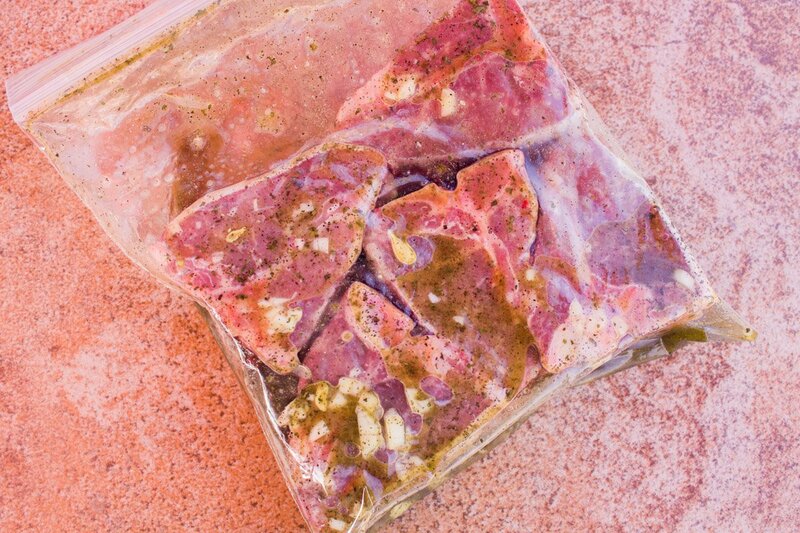 Pour marinade in a large Ziploc bag, and add the defrosted lamb chops. Massage the marinade into the lamb, making sure to coat all sides. Refrigerate the lamb for eight hours, or overnight. In the spirit of keeping things simple, I recommend serving the lamb chops with a Sweet Kale Salad (Costco). Although the salad is good on its own, adding some blue cheese crumbles, feta, or goat cheese really dresses up the salad. Because it already comes with a sweet dressing, adding slices of apples, pears, or strawberries only seems appropriate. I like to add some red onions too! Another great side option would be jalapeno poppers. The poppers are creamy, delicious, and can be prepared in around 30 minutes. They can easily be prepared ahead of time and popped in the oven for 20 minutes prior to serving. By the way, the jalapeno poppers recipe is the most popular recipe on my blog! And for dessert, don’t forget to make my Easy Mug Cake, topped with Homemade Ice Cream. They are a heavenly combination! 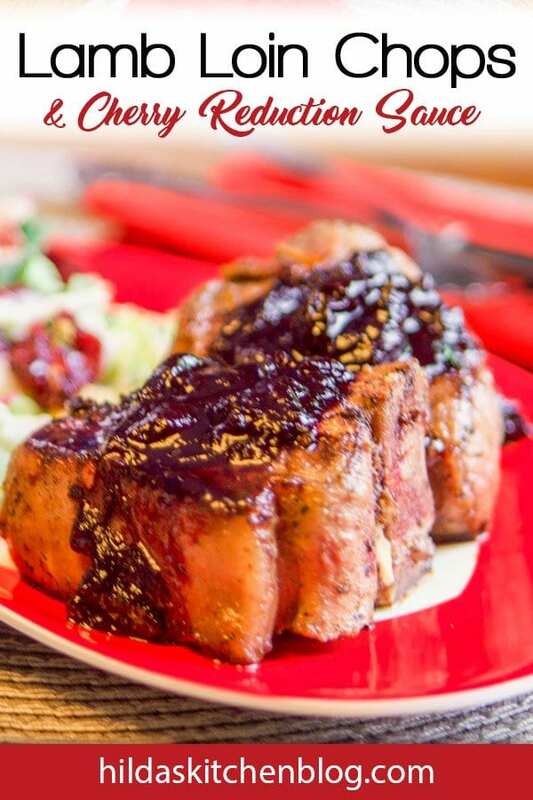 Tender lamb loin chops, drenched in a cherry sauce reduction. Mix all the marinade ingredients and place in a Ziploc bag. Add lamb loin chops, massaging the marinade into the lamb. 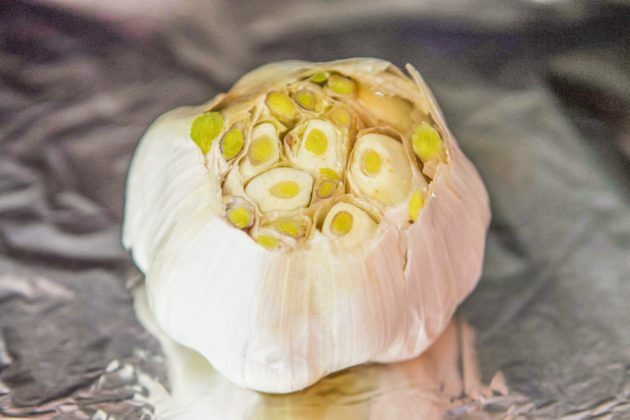 Marinade for 8 hours or overnight. Heat vegetable oil in a cast iron skillet. 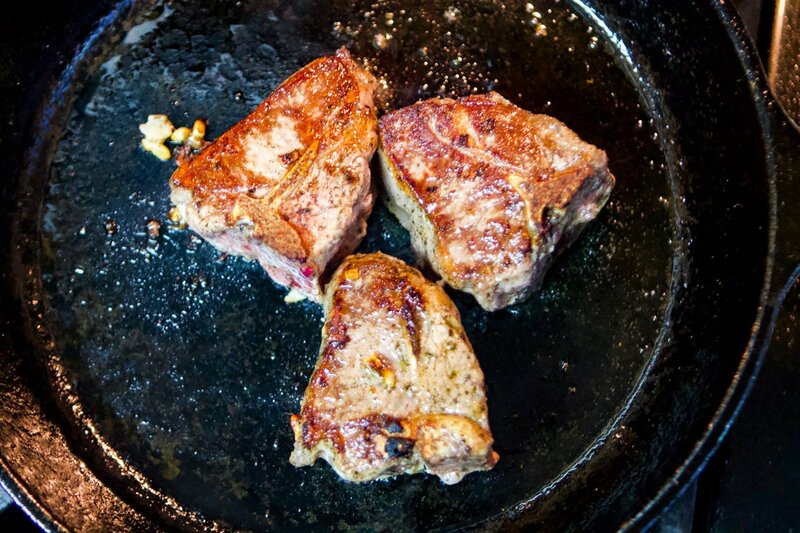 When the pan is hot, cook the lamb loin chops on 3 to 4 minutes on each side for medium-rare, turning over only once. 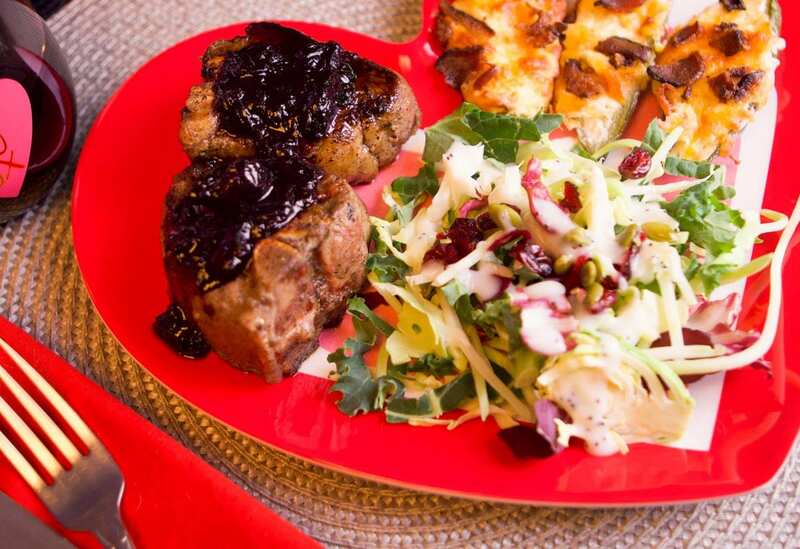 Serve lamb chops drizzled with cherry reduction sauce. The recipe can be found on my blog. 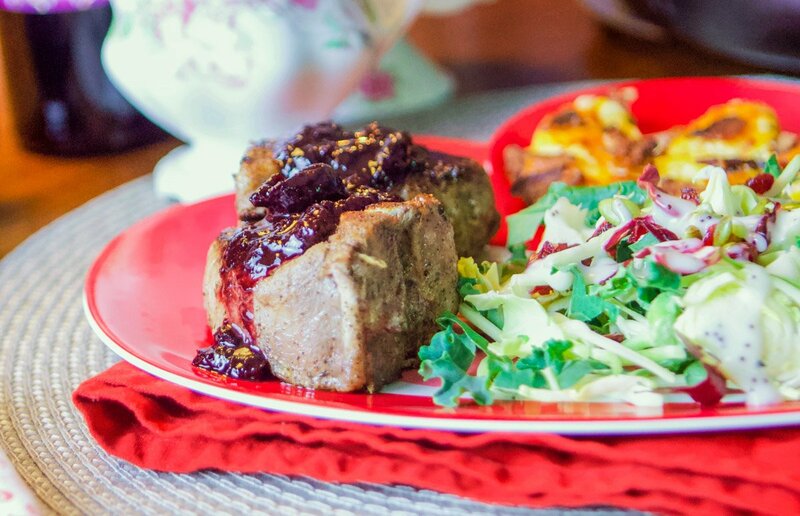 Make sure to serve these lamb loin chops with my cherry reduction sauce. It's truly a marriage made in heaven!